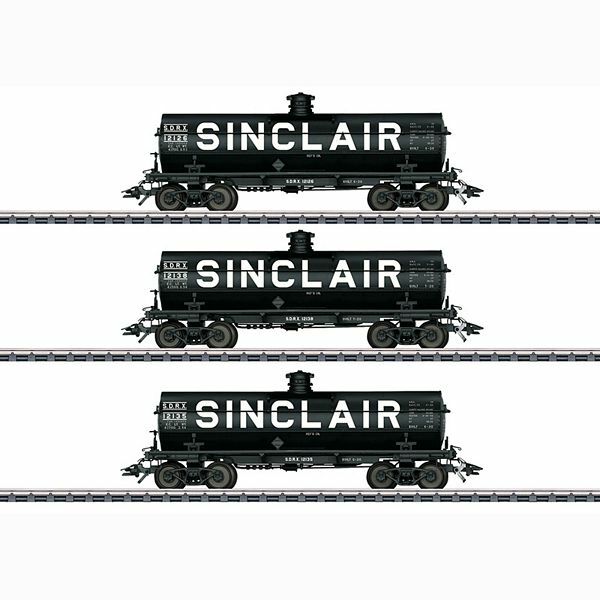 Prototype: Three American design tank cars painted and lettered for the American company Sinclair Oil. The cars look as they did in Era III. Model: The cars have detailed partially open metal frames and separately applied details. The trucks are detailed and have special wheel sets. The cars have different lettering and car numbers. The couplers can be replaced by other types. The cars are individually packaged. Length over the couplers per car approximately 14 cm / 5-1/2". DC wheelsets E320552 (NEM), E320389 (RP25).